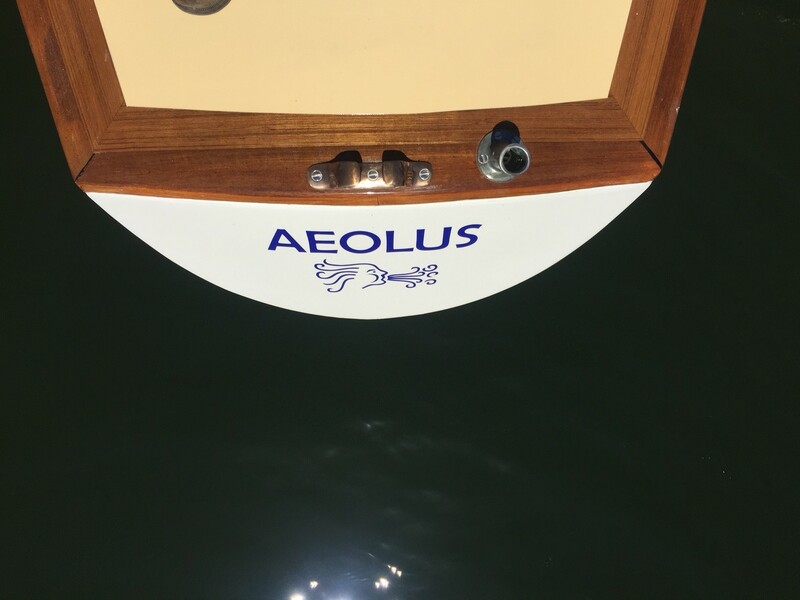 Elephant Boatyard | Yacht and Boatbuilders Southampton | Aeolus – a fast and beautiful racing yacht. 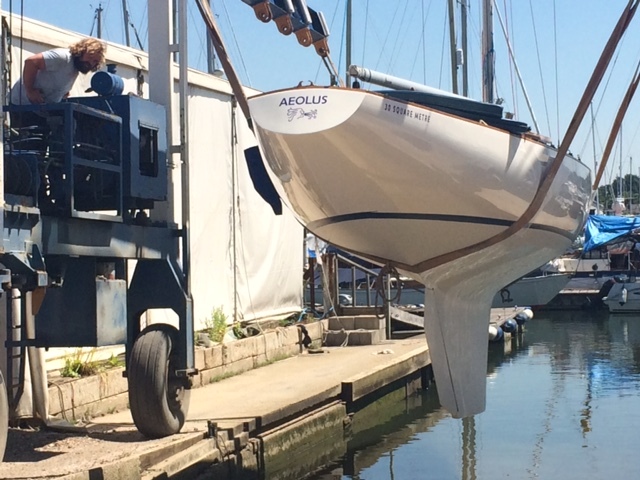 Aeolus 30 Square Metre, built in 1989, is a fine example of the legendary Knud H Reimers International racing design. 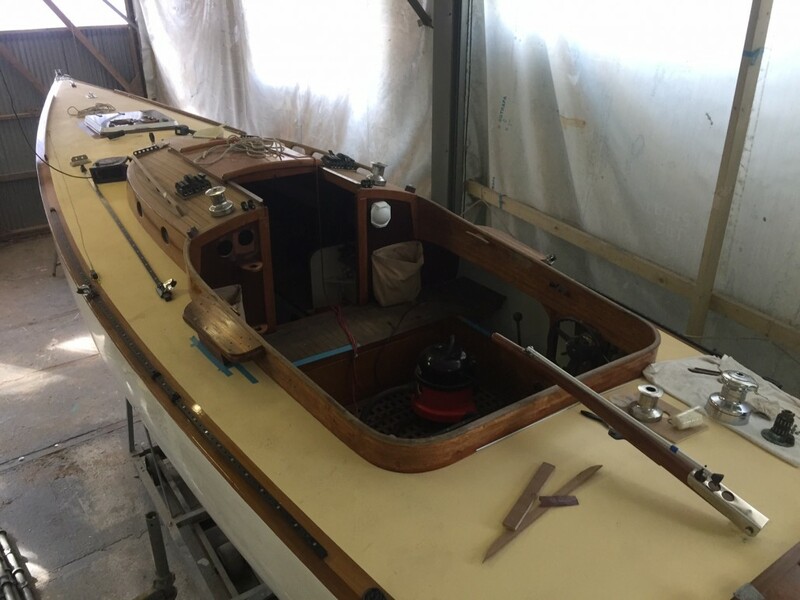 A fast and beautiful boat, the classic lines of her composite hull combined with teak cabin coamings, cockpit and brightwork give a beautiful, traditional look. 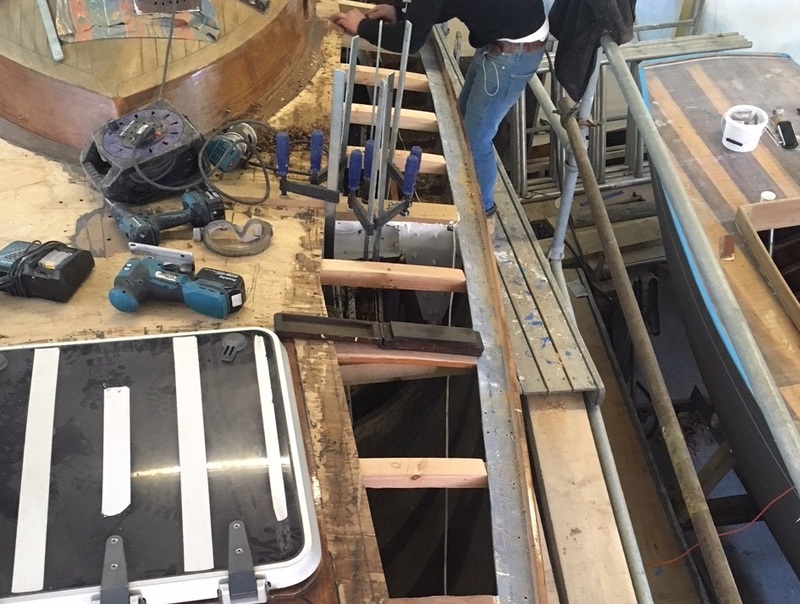 Just what we love! 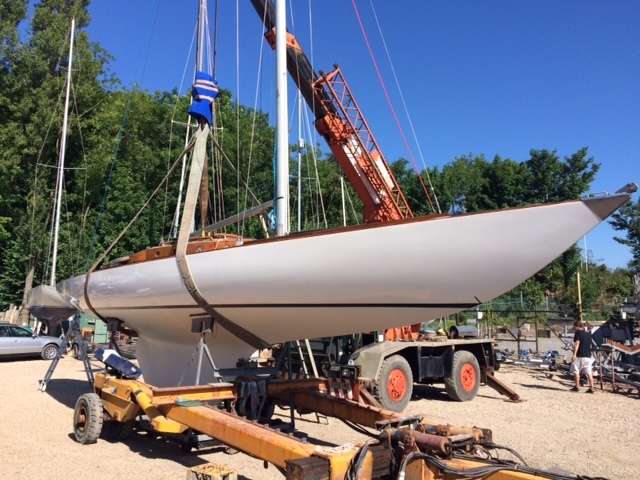 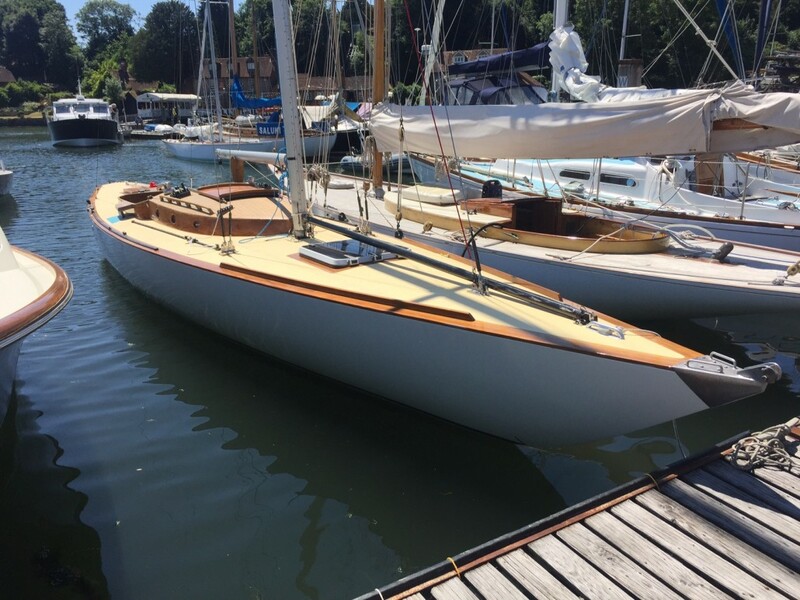 Her new owner came to the yard earlier this year to discuss some repair work, and initial plans were simply to replace areas of her deck. 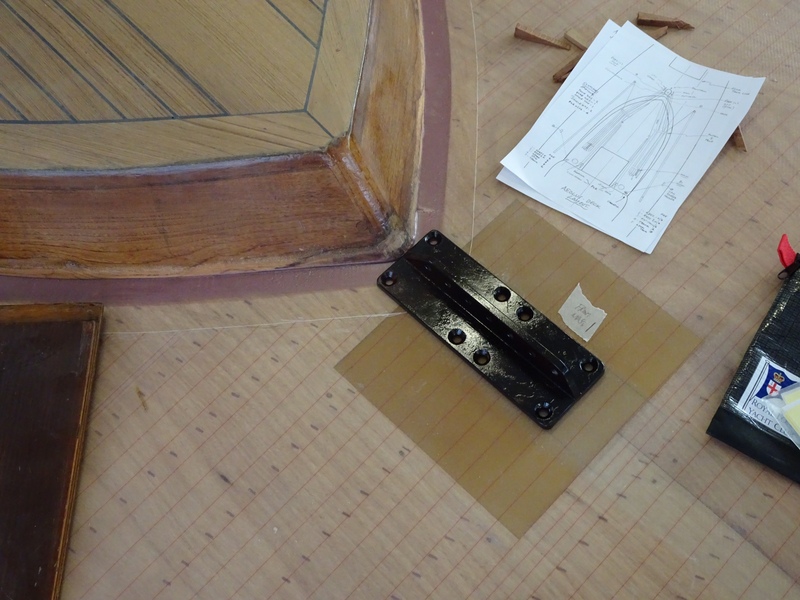 It soon became apparent that there was more work to be done. 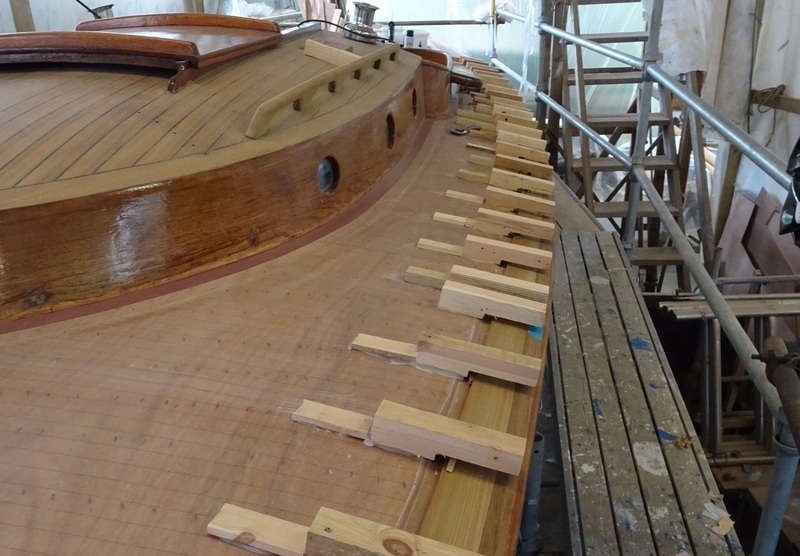 We removed the teak laid deck, repaired soft areas of her lightweight deck, and fitted a thin layer of plywood to replace the thickness of the teak. 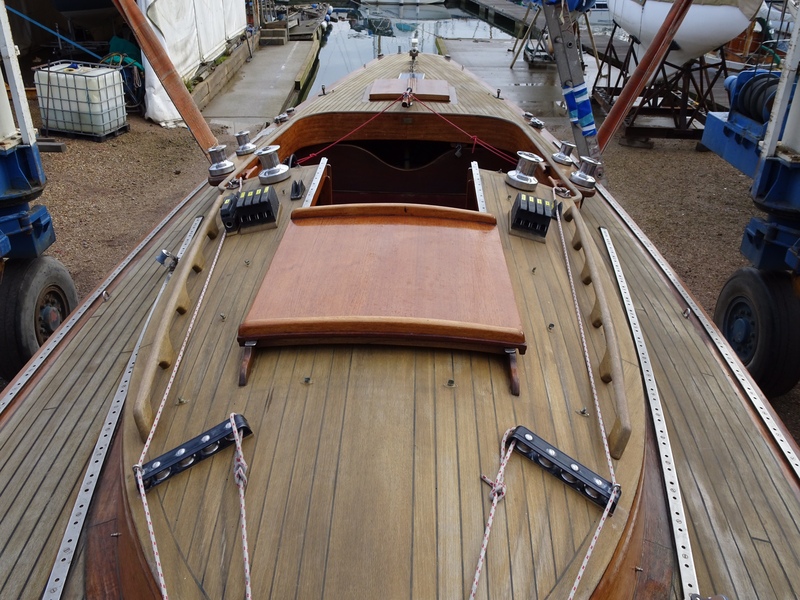 We then epoxy sheathed the whole of the deck and replaced all of the deck fittings. Many hours of careful workmanship later and she is now back in fine racing condition. 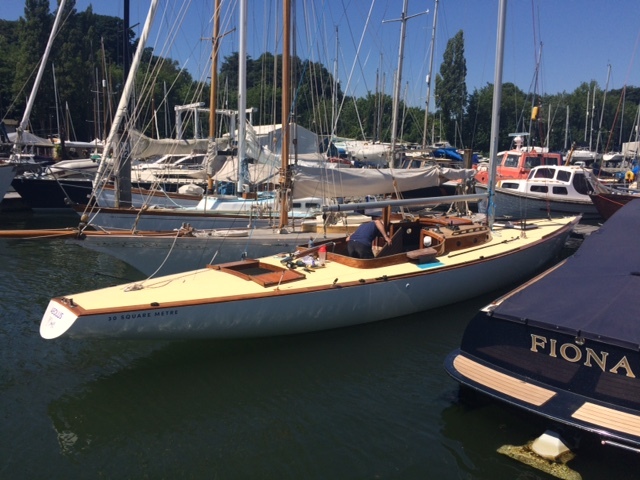 She recently competed in the 2018 Round the Island Race, coming 3rd in class, proving her pedigree on the race course.